Pre-drawn bubble diagrams symbols like circle, ellipse, cloud, main idea, gray bubble, blue bubble, pink bubble and more help create accurate diagrams and documentation. Edraw bubble diagram templates offer you plenty of bubble shapes including circle, ellipse, cloud, main idea, grey bubble, blue bubble, pink bubble, iridescence bubble, highlight circle, highlight ellipse, highlight cloud, highlight main idea, connector. Edraw bubble diagram shapes include many special bubble shapes and arrow shapes. 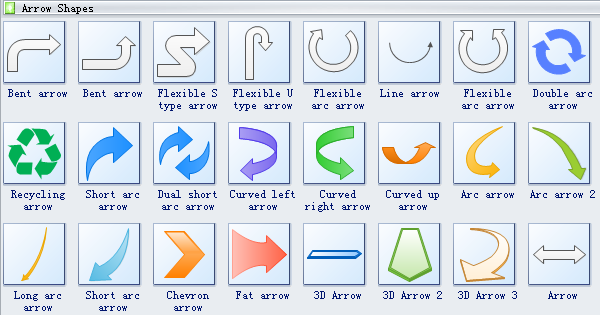 Arrow shapes like bent arrow, flexible S type arrow, flexible U type arrow, flexible arc arrow, line arrow, double arc arrow, recycling arrow, short arc arrow, dual short arc arrow, curved left arrow, long arc arrow and more are available. Iridescence bubble is the bubble with iridescent surface. Header is a unit of information that precedes a data object. It is a shot or pass made with the head. Footer is a person or thing of a specified number of feet in length or height. 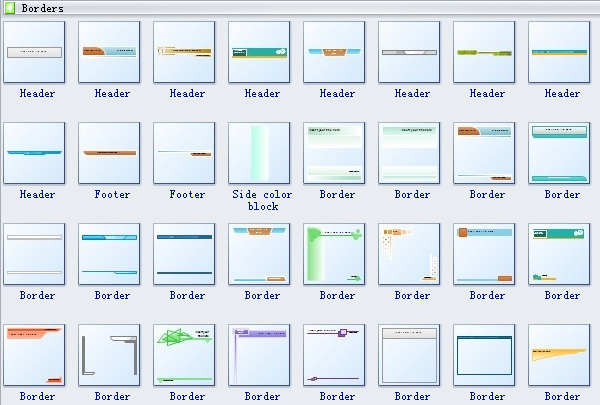 Border is the edge or boundary of something, or the part near it. View more about bubble plot chart symbols here. Need fresh looking bubble diagram symbols for your design? These bubble diagram symbols are a cinch to pop in. And their crisp, fine detail will make spectacular, easy-to-understand diagrams and presentations to your customers.